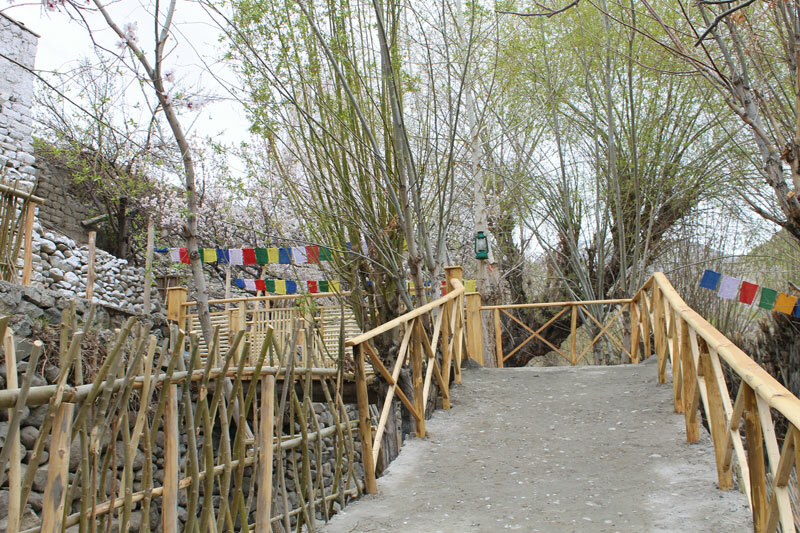 Tingmosgang offers lot of sightseeing opportunities, to the Palace 15 minutes walk, Tserkarmo 4 km, Khatsa Gonpa 10 Km, Tia village and Nunnery 8 Km. 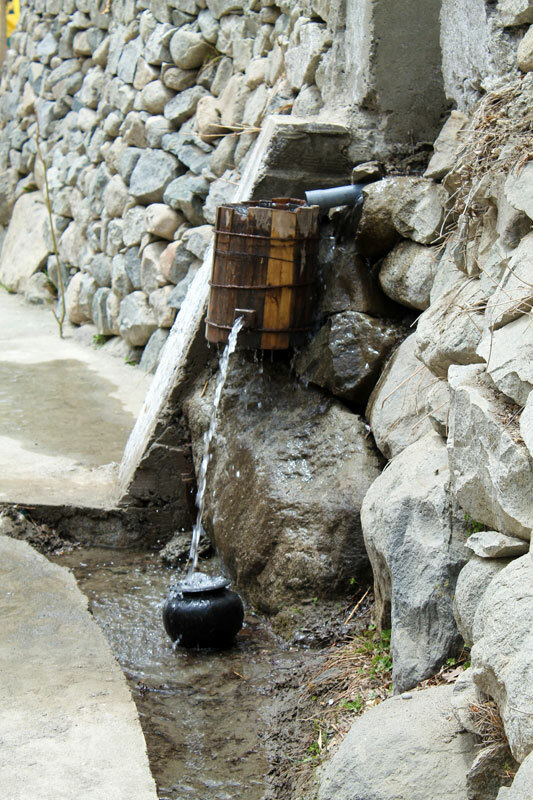 You can take a sightseeing of Lamayuru, Alchi etc. 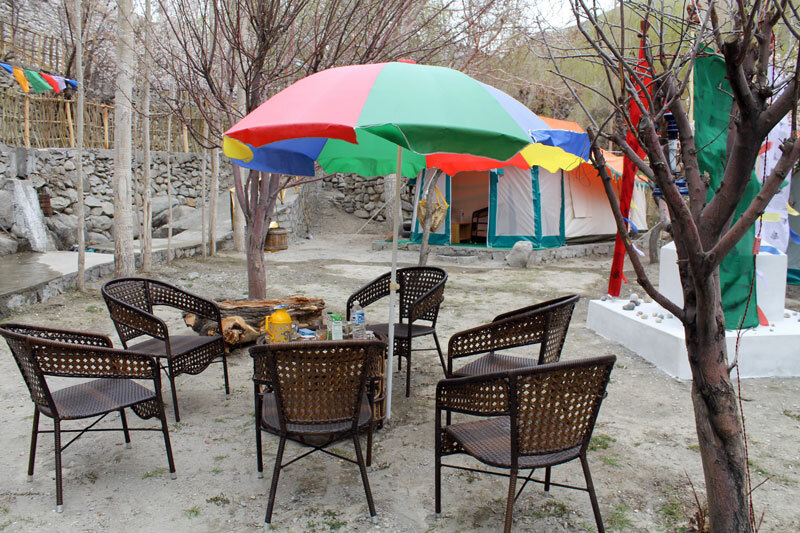 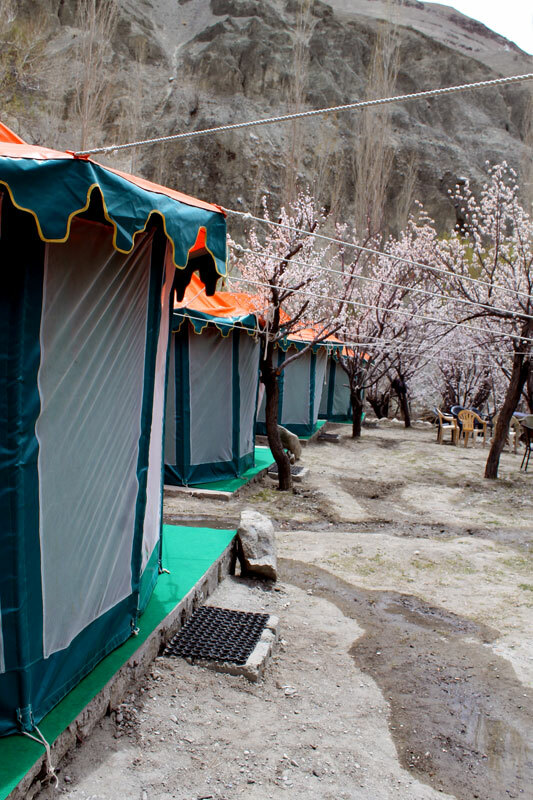 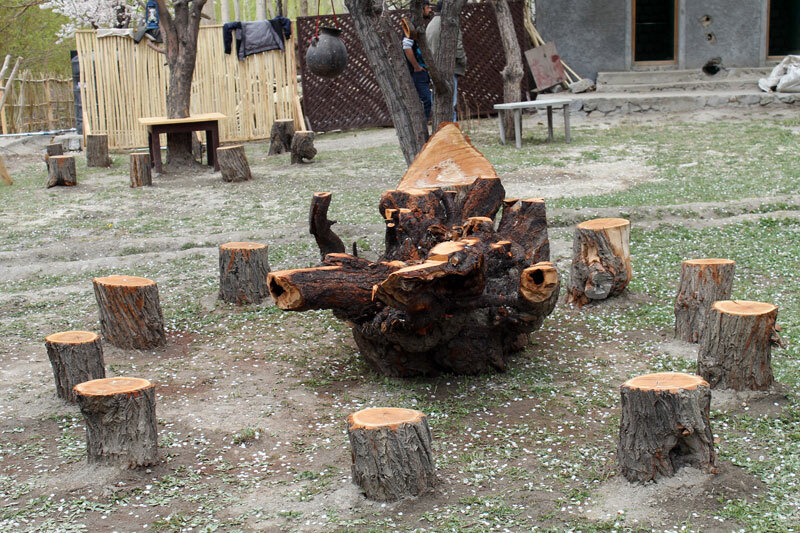 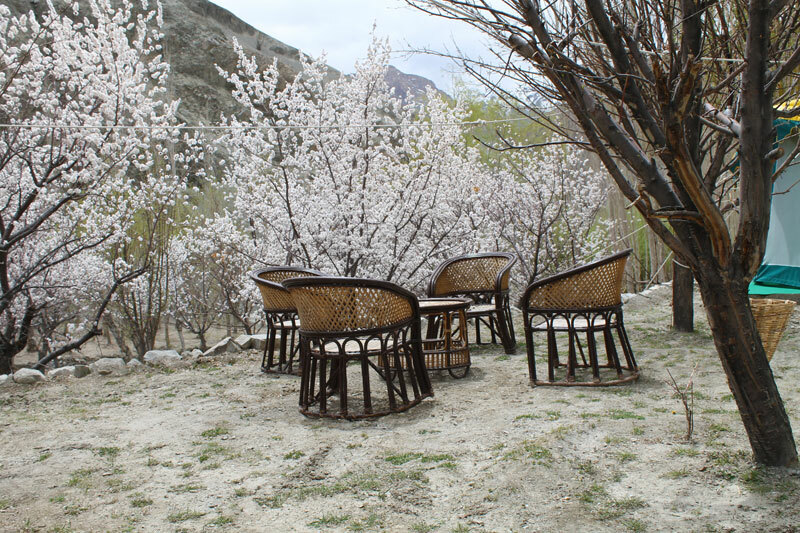 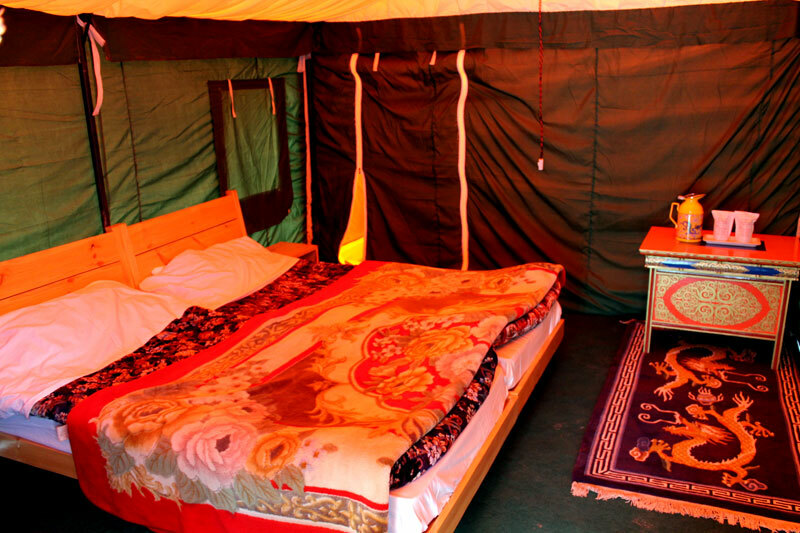 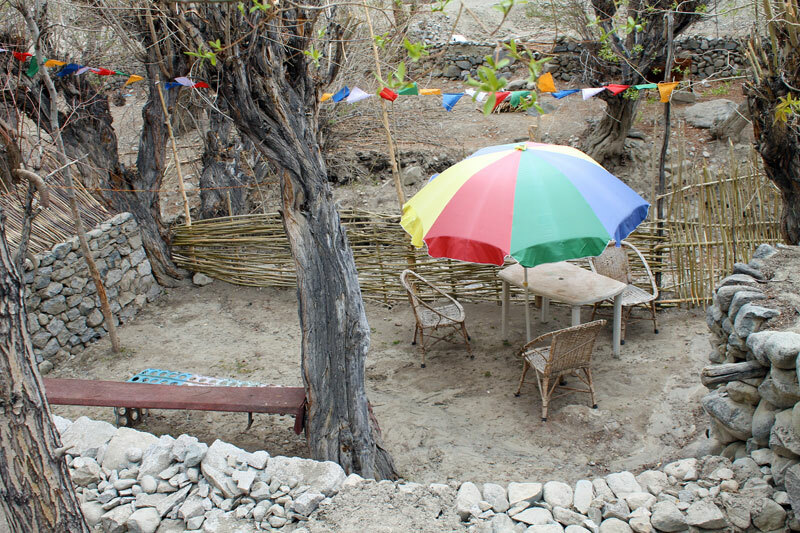 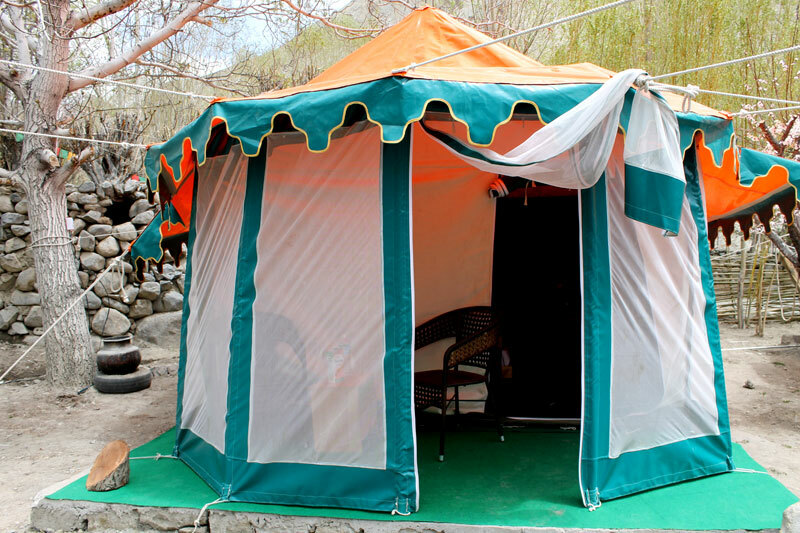 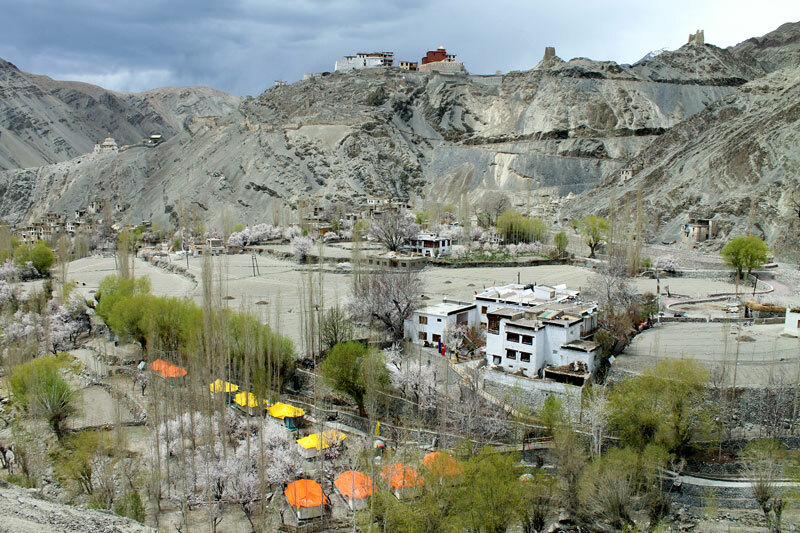 The Camp is in a rural ethnic village, run by a Ladakhi traditional family, where you witness traditional family house, Ladakhi food, the hotel is sprawled over a vast area of apricot and apple groves rendering a relaxed and rejuvenating atmosphere for your holidays. 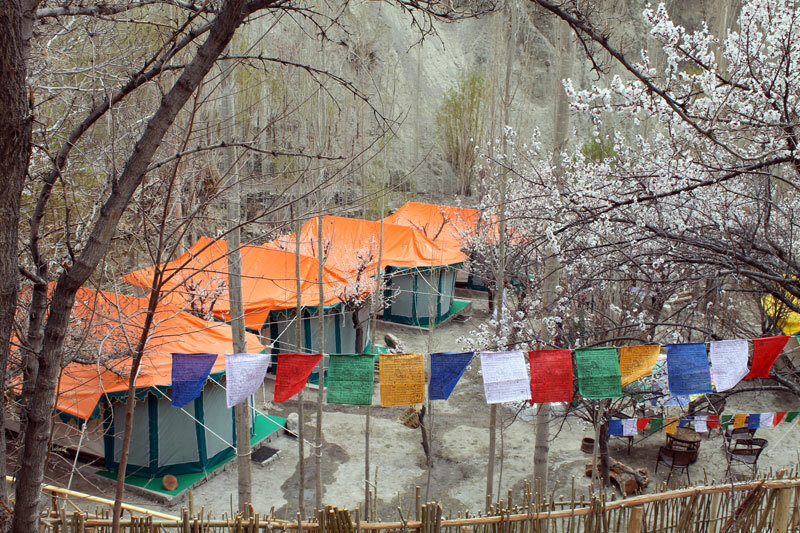 At our Camp you are left to yourself to enjoy your holiday amidst the grass, river and Himalayan mountains.